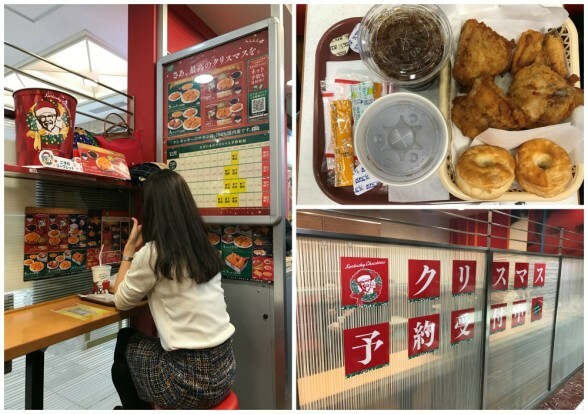 I was blessed to be in Japan in December because I got to witness first-hand the phenomenon that is KFC at Christmas. However, I wasn’t able to partake in it because all those displays and set menus plastered on the wall (Sparkling cider with the Colonel’s face on it! Chicken cordon bleu! A $50 whole turkey with its own tote!) are for pre-ordering only. I had no idea. So, I settled for a four-piece meal with biscuits, no finger sheaths provided. I love how even at fast food restaurants (well, at least KFC and MOS Burger) if you order iced coffee you receive a little plastic container of simple syrup and the creamer comes in an even tinier plastic container (even though I take it black). Official Pizza Hut Japan Online! Fast delivery to your home and hotel by online order in English! Twitter knows me far too well, as evidenced by Pizza Hut’s enticement of online ordering (no human interaction!) in English (bonus!). But after a solid 20 minutes on their site and being surprised that pizzas cost $30+, I kept getting a garbled message after inputting what I thought was my postal code, which I took to mean I was out of their delivery zone even though I was in a centrally located neighborhood. I was not going to give up ordering pizza to my Airbnb even though it had a wonky address that confused multiple cab drivers. 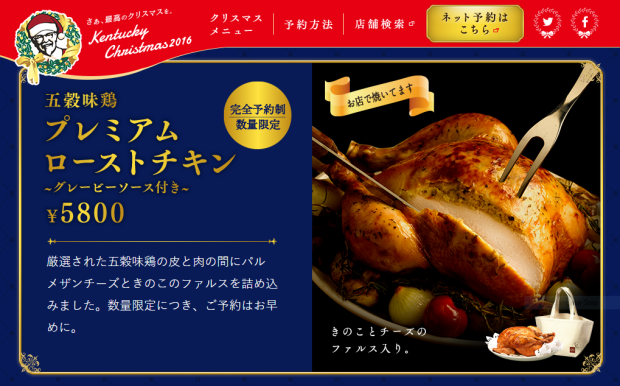 Plan B. Domino’s, similar oddball flavor combinations (roasted pork with demi-glace and mustard sauce, crab gratin and something called Mayo Jaga with potato, corn, sausage, and mayonnaise obvs) also offering online orders in English, and no less expensive. I, no joke, spent a half hour trying to type my address into a form so the system would recognize it. I thought with near 80% certainty that I would be charged, and then like an hour later would receive an angry call in Japanese and I would have no way to direct the driver. 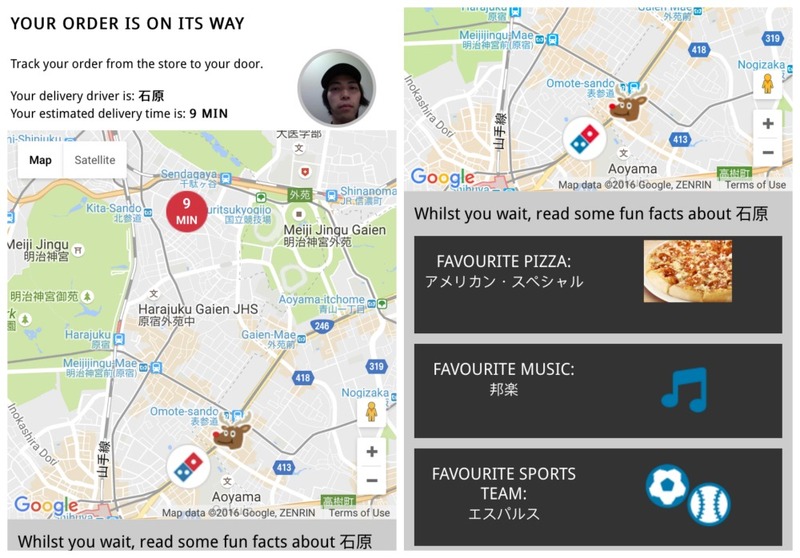 I clearly have been living in in NYC too long because in Tokyo you could track your pizza every step of the way. I registered for the service (and received a 1000 yen coupon for another order) about ten minutes into waiting and was shocked to see the pizza was 9 minutes away, marked with a cartoon reindeer (despite Domino’s shelving reindeer delivery in Hokkaido) and moving fast. I could also read about the driver’s favorite pizza, music, and sports team, except that I couldn’t read them. I made my boyfriend put on pants and run down to the street from our second floor (first floor in everyone else in the world’s parlance) to intercept a potentially lost driver, still not convinced we were actually going to receive our pizza. No worries, two friendly guys on mopeds showed up and the box was handed off (I love no tipping culture even if it results in a $33 pizza). I was the proud owner of Cheese ‘n’ Roll Quattro Delight. That meant a surprise cheese-stuffed crust, and one quarter each of Margherita, deluxe, special seafood, and garlic master. I kind of was the Garlic Master. 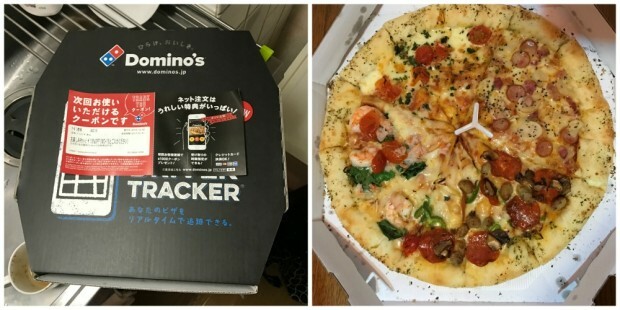 Japan can thwart visitors in so many ways–procedural, cultural–so I felt a strange sense of accomplishment for having conjured a pizza to my door without speaking the language. Also, I wonder how long my coupon is good for?